It seems like bots are the new hot thing that every chat supports. They usually augment conversations or they can perform tasks for the user. 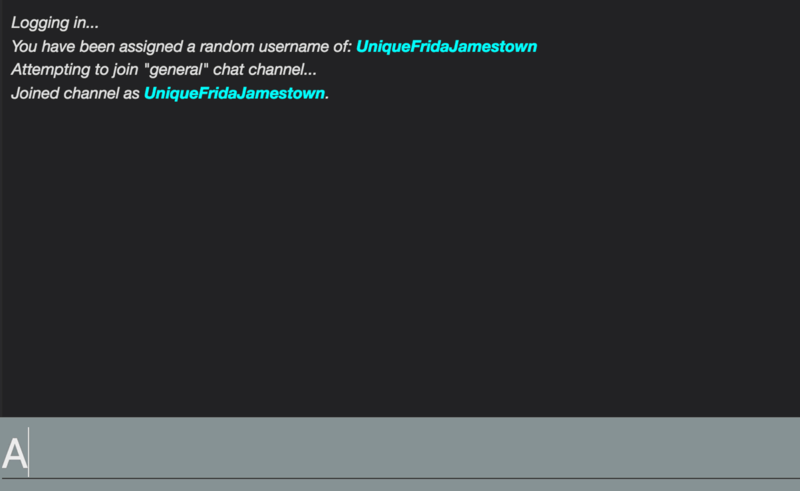 We will add to an existing Programmable Chat chat a simple bot that will return us a GIF whenever we ask for it. We will be working off an existing chat application. Before we get started with our bot we need to get a couple of things ready. Configure it according to the README. Twilio Programmable Chat will handle the sending of chat messages from client to client. The product also has webhook notifications for when new messages in our chat are sent. Using these webhooks we can control whether a message should be delivered or blocked. All this can be done simply by returning different HTTP status codes. Status code 200 (OK) means continue delivering this message and 403 (Forbidden) means block this message. 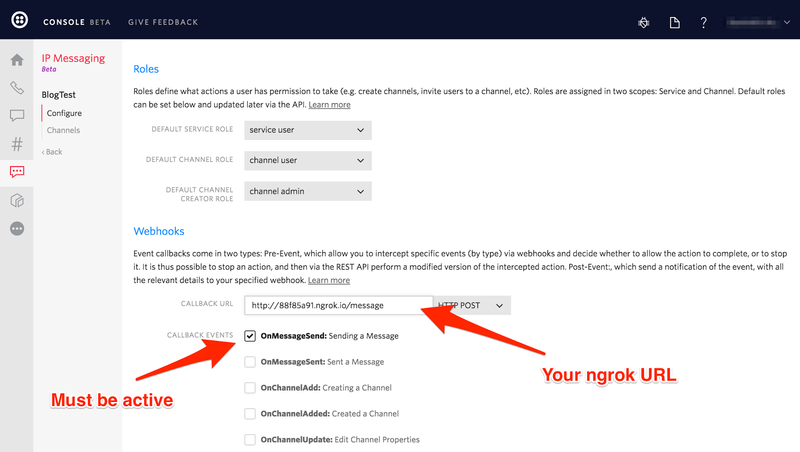 Afterwards go to your messaging service in the console and configure the webhook URL as: http://.ngrok.io/message. Make sure that the HTTP method is POST and that OnMessageSend is activated. Navigate to http://localhost:3000 and start writing messages. 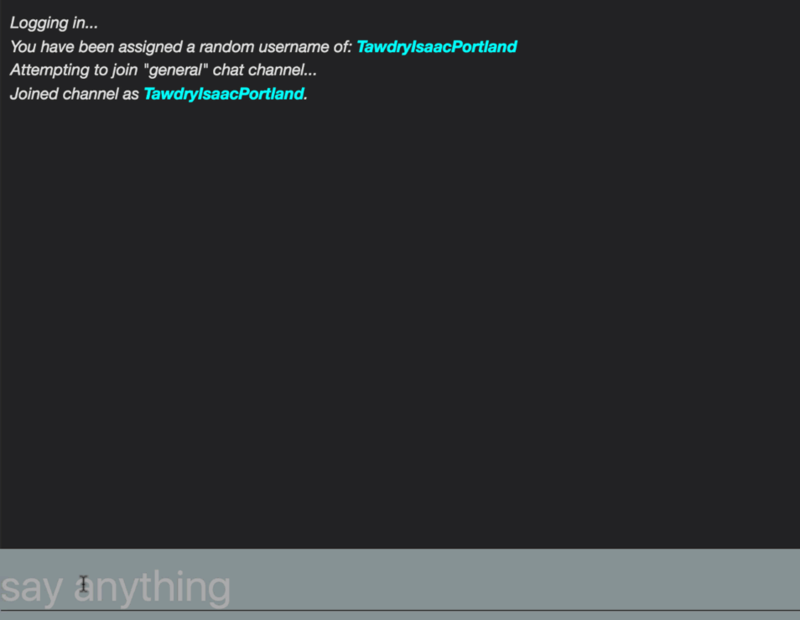 You should see them start appearing on in your terminal with additional information for the message. Restart your server and send a message with /gif. You should see that it’s not showing up. All other messages will normally appear. So far we can intercept the content that is being sent but we want to actually send our own messages. We want our bot to actually participate in the chat. For this we will forward the message at all times and then use the information about the channel to place the bot in the channel and write a message to it using the Twilio helper library. Once you restarted the server try writing /gif in the chat again. Now you should see the bot write the actual message and your message staying preserved. So far we are only sending text with our bot. We can use the new message attributes to add additional contextual information to our message, such as information that this is actually a picture. Now restart the server and reload your browser and you should be able to see the GIF properly appear the next time you write /gif! Amazing! You just finished your first bot! But you don’t have to stop here. 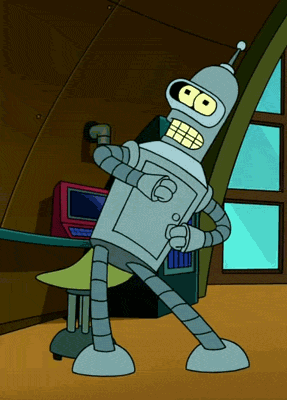 You could extend the bot to return a random GIF using the Giphy API or come up with your very own bots. How about a bot that recommends a restaurant whenever you talk with your colleagues about lunch? Now that you have the tools you are only limited by your imagination! Let me know what you came up with by sending me a message or tell me in person at SIGNAL London. You can use DKUNDEL20 to get 20% off.